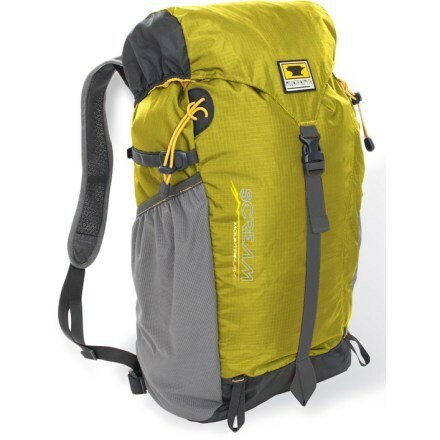 This pack is a great lightweight and minimalist choice for day hikes. It is easily packed down small to fit into a larger backpack. Durability exceeds anything else in its class. 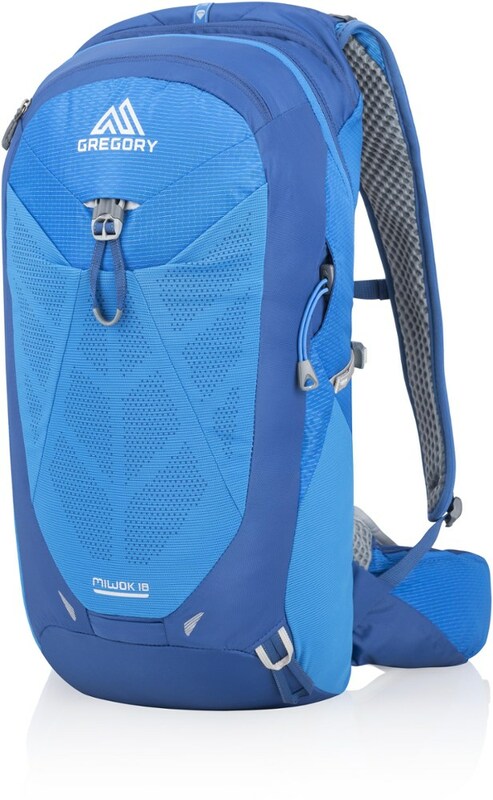 It is a frameless pack with minimal padding, so it has its limitations. If you take those considerations into account before buying this pack, you might just find that it's perfect for you. This is a one-size-fits-all pack. I'm about 5'10" and have a 19-ish inch torso, and it fits me really well. I'm a fairly normally proportioned guy, and the space between the shoulder straps is just about perfect. Unlike some other packs that this one competes with, like the REI Flash 18 and Flash 22 and the Marmot Kompressor series, the Scream 25 doesn't feel awkwardly small on your back. The shoulder straps are made with the same breathable, super-thin padding found on similar packs. They are wider than a lot of the competition (a little more than two inches), making for a much more comfortable experience. The removable waist belt is about an inch wide and is there to keep things stable rather than carry any of the weight. There is no sternum strap, but the shoulder straps do a good job of staying put. The back is nylon and not ventilated in any way. The breathable shoulder straps are nice on a hot day. There is no structure to the pack. For a dedicated day hiker, a pack with a minimal lightweight frame and a more significant waist belt might be a better choice. As far as minimalist day packs go, however, the Scream 25 is pretty much par for the course as far as structure and ventilation go. The one addition I've made is to cut out a rectangle from a blue foam sleeping pad that slides into the hydration pocket. This makes a huge difference in comfort with any heavier items, and it's far more effective than (for example) the paper-thin back pad found in the REI Flash daypacks. The pack is listed as having a 24 liter capacity, and this seems about right to me. 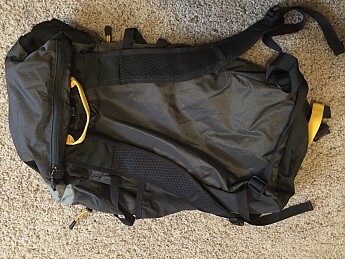 Any larger, and I would want a pack with some more structure and more padding on the shoulder straps. 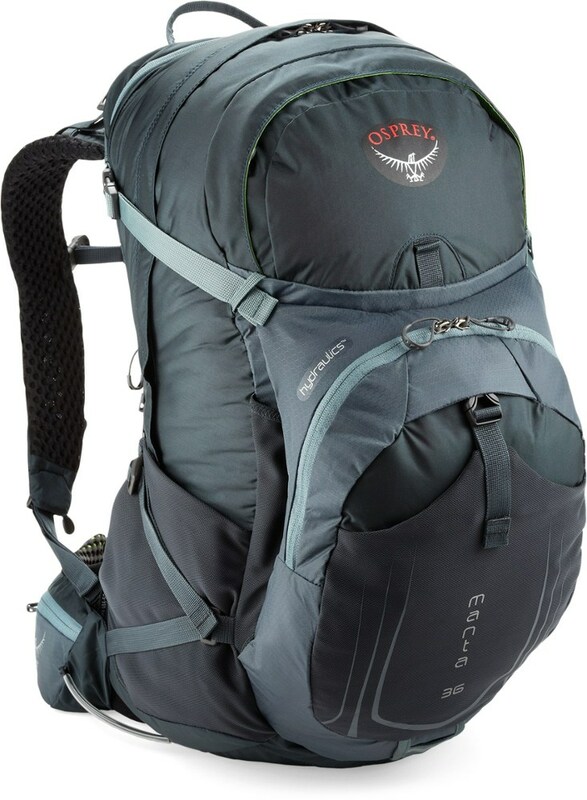 The compression straps help, but pack is big enough that you can overload it pretty easily and end up with a load that flops around in the bag or is uncomfortably heavy. I like being able to put extra insulation layers in it, but I would be careful with heavier items. Mountainsmith says 20 lbs max, and that sounds about right to me. 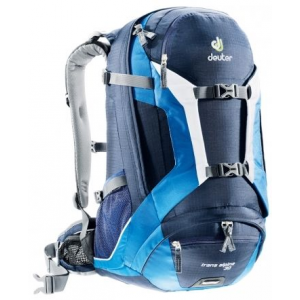 The pack has three separate internal compartments: the main bag, a pocket on the main body, and the top lid. The lid is big enough for some basic necessities, like some snacks and a map and some sunscreen. 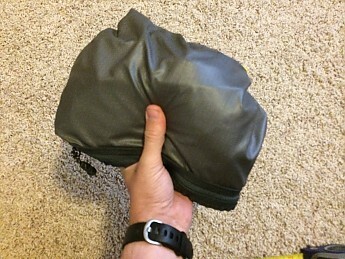 The pocket on the main bag is nice for some organization, but it also serves as the pocket into which you stuff the pack when you want it to be packable. Access is simple enough, and it is all very intuitive. There is a water bladder sleeve that holds my 3 liter bladder pretty well. 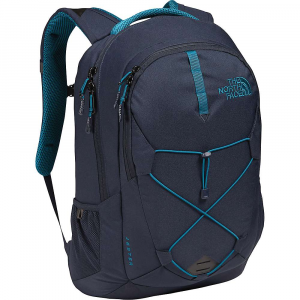 The feature that really sets this pack apart from other minimalist daypacks (and daypacks in general) is the addition of two deep side pockets that easily swallow 32 ounce Nalgenes and Gatorade bottles plus snacks and other items. They are made of stretchy and durable material. I wish Mountainsmith would use the same material on all their packs. You won't want to wear this pack sagging down, or else it will be floppy and uncomfortable. Otherwise, stability and comfort are really up to you. You have to think about what you bring and how you pack it. The pack has three points of compression. Two side straps that are honestly a little bit high on the bag. A little lower, and they'd be perfect, although that would mean less depth on the external side pockets. The third point of compression is the strap that secures the top lid. I think it's the most effective means of compression with this pack. It's a simple pack with few compartments. Easy as can be, if you pack it right. Like I said before, the best feature is the addition of side pockets that actually hold things securely. Go ahead and put stuff it it — it won't fall out. Besides that, the fact that it packs into its own pocket is nice. Not exactly necessary for bringing it along on trips, but it is convenient and turns the Scream into a decent pillow at night. More than any other aspect of this pack, it was the solid materials and construction that convinced me to buy the Scream 25. 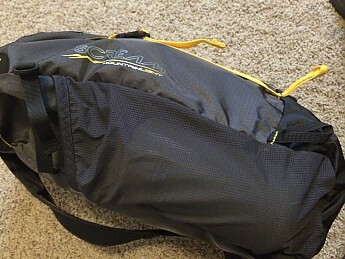 REI summit packs are notorious for falling apart, and the Marmot Kompressor packs similarly need to be babied. Shoulder straps come undone. Daisy and ice axe loops need to be reinforced if you're going to actually use them for anything. I'm not all that rough on my gear, but I didn't want to deal with that sort of headache. So I decided that a few more ounces was worth it and I got myself the Scream. The stitching is bombproof, and the material is heavier and thicker than the competition. I try to treat it well, but I'm never worried that anything is going to unravel on me. 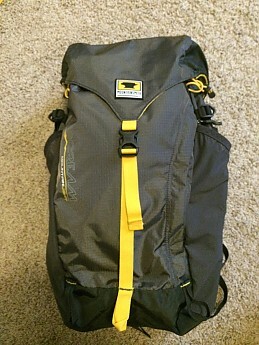 I use this pack mostly for day hikes. In the short time I've had it, it's experienced rocky, alpine conditions on Colorado's high peaks and rough treatment in the canyons and deserts of western Colorado and eastern Utah. I rarely use it as a summit pack on a longer expedition, but I bought it so that I could have that option. Overall, this is a great pack if you understand what you're getting. It weighs about a pound, so some ultralight enthusiasts might scoff at it, but it will last a lot longer than lighter packs. You wouldn't use it to carry skis up a fourteener for a winter descent, but this pack isn't meant for that sort of use. This pack is meant for people who like simple, durable, lightweight gear without too many extra bells and whistles (although the water bottle pockets are a wonderful luxury). Very insightful review, and looks like a nice pack. I'm guessing not, but does the top lid come off? Nope, the top lid is stitched in. 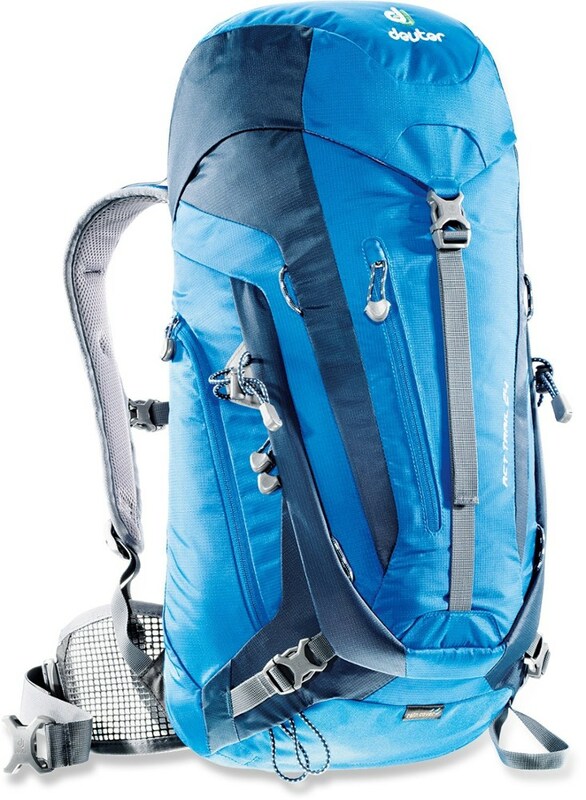 Looks like a nice 25L pack, especially for the price. Great review. Thanks for the review. 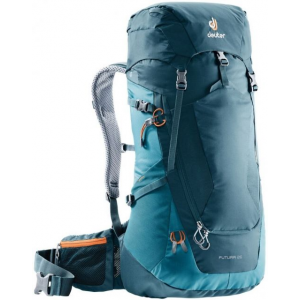 I returned mine - I think a pack that size (especially with the huge side pockets) is a little too much considering the lack of padding and structure. I also have an REI Flash 18, but it lacks durability. I wish I could combine the best features of both packs! I've used this pack for everything from hiking 14,000 foot mountains to commuting to work on a bike. 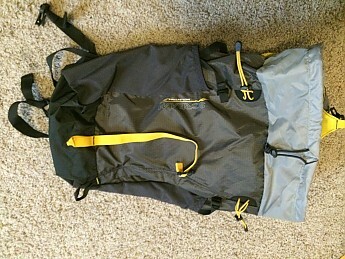 This is the lightest and most minimal of day packs that I have been able to find. That perk is not gained in sacrificing comfort, durability or functionality.. The pack distributes based on your loading preferences, as always. 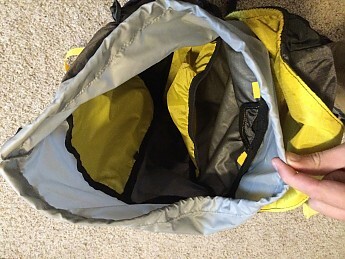 The internal hydration sleeve is handy but I found that the backpack loses form in using one. Better, are the two elastic side panels, perfect for 1-1.5L bottles. That balances the weight and is typically enough for the longest of day hikes. The simple, sleek design also serves well for bike riding and even trail-running. The adjustable waist and shoulder straps help form the storage garment to your back for minimal interference of movement or balance.